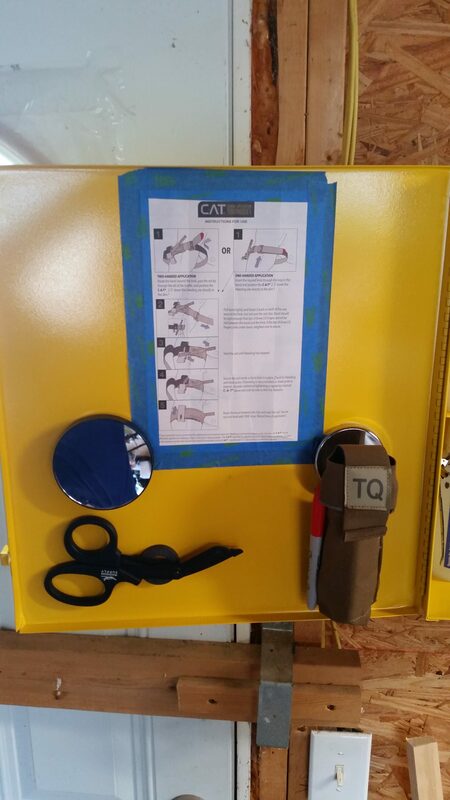 For several months, it has been on my mind to talk here about setting up a workshop trauma kit. I want to emphasize at the start that I am not a doctor or healthcare provider. This entry is only intended to get the readers thinking about workshop safety, and is not intended to train you in the use of any of the kit contents. You should take a first aid course and use your own judgement as to whether any of this stuff is pertinent to your situation. Ok, that said, shop safety is something a lot of people take for granted. 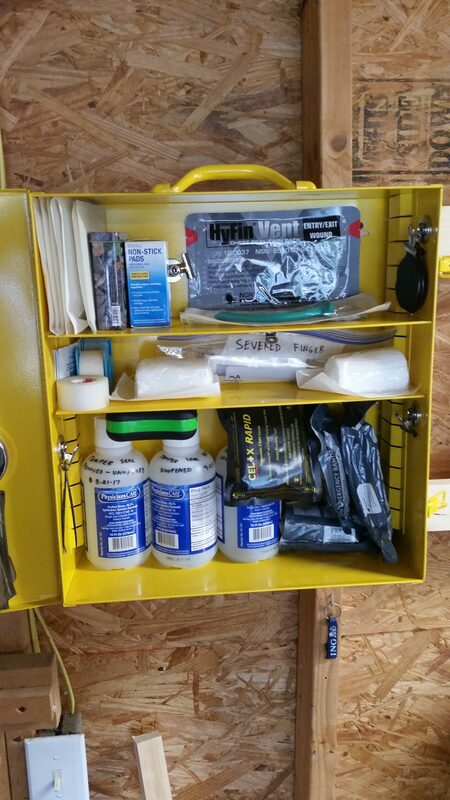 I was recently reviewing multiple GarageJournal posts asking people to show off their garage first aid kits. I was surprised (not pleasantly so) how few people had much more than a boo-boo box with a little gauze or band aids and some aspirin. We work with dangerous stuff in the home shop, and it really doesn’t take much to turn a fun project into a trip to the emergency room. Grinding wheels exploding on the bench grinder, shooting shrapnel into the chest or extremities. A finger getting sucked into a wire wheel on the bench grinder. Debris getting into one’s eyes or splinters getting pretty much anywhere. A saw or other cutoff tool cutting off a finger or gashing an arm or leg. A chisel or other blade slipping, then stabbing into a hand. 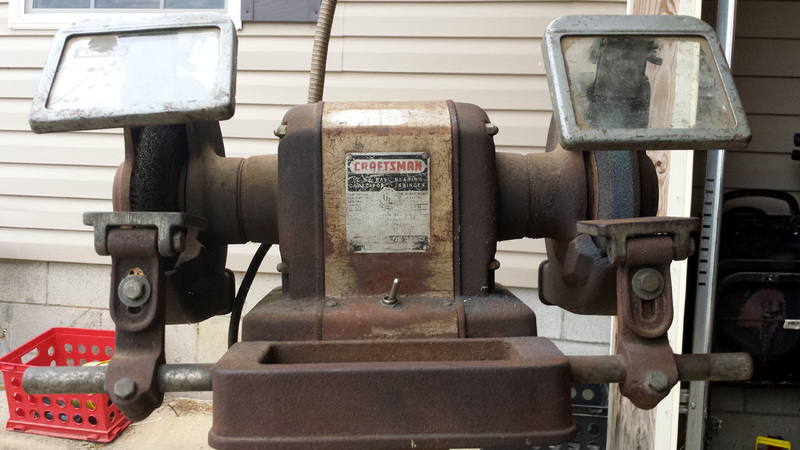 A drill press spins a piece of metal into the operator, lacerating him deeply. All of these (and more) are possibilities. Your personal shop setup may provide for a different set of risks. Does this mean we should curl up in the fetal position on the couch and never touch anything more dangerous than a butter knife? No! But it’s smart to be prepared, should the worst happen. 911 isn’t going to save you when you cut a major artery. It’s just not. That’s up to you. Back in the Vietnam War, medical researchers estimated that potentially survivable deaths arose from three principal causes: extremity hemorrhage exsanguination (60%); tension pneumothorax (33%), and airway obstruction (7%). Obviously, we aren’t getting shot at in our workshops… I hope?… but traumatic injuries sustained in a workshop setting might be similar enough to let that guide our preparedness. That’s my perspective, anyway. So my trauma kit is geared towards: (a) stopping major bleeding fast, (b) dealing with penetrating chest wounds, and (c) maintaining a preliminary airway until better help arrives. I think my trauma kit goes a long way towards dealing with these three main problems until the paramedic you summoned arrives or you drag your bloody rear-end to a hospital (which you should do). If you’re in need of a pressure bandage, you’re in need of a doctor. 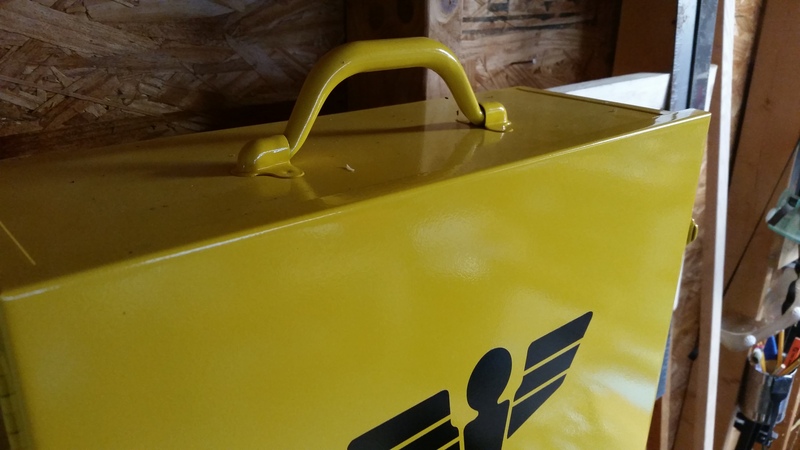 In setting up my workshop trauma kit, I bought a steel spill control cabinet by Durham Co. in a very visible yellow color. I got it from Zoro for about $45. Amazon has similar white first aid cabinets available a bit cheaper, but I think they’re basically the same box. The cabinet is well made and it should be a lifetime purchase. It serves to keep everything well organized and quickly accessible, up on the wall, and clean from dust (I live on a dirt road and everything in my shop is dusty). Durham spill control cabinet (534AV-50). 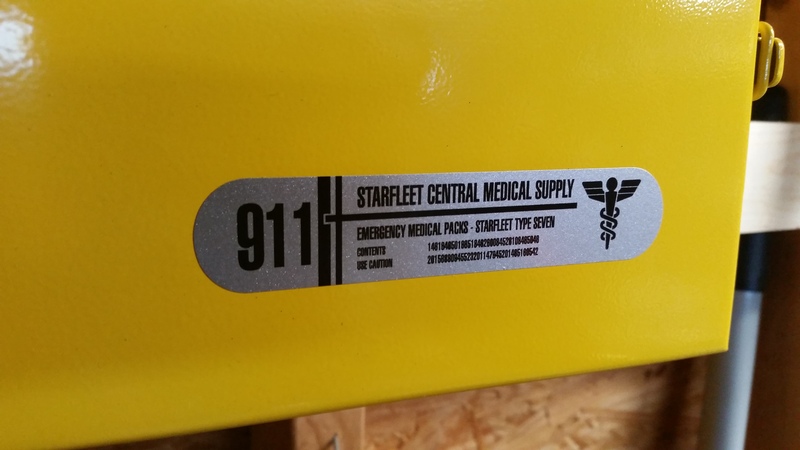 I put on a couple of vinyl decals that are reproductions of Star Trek medical decals, because I’m a nerd and that’s how I roll. 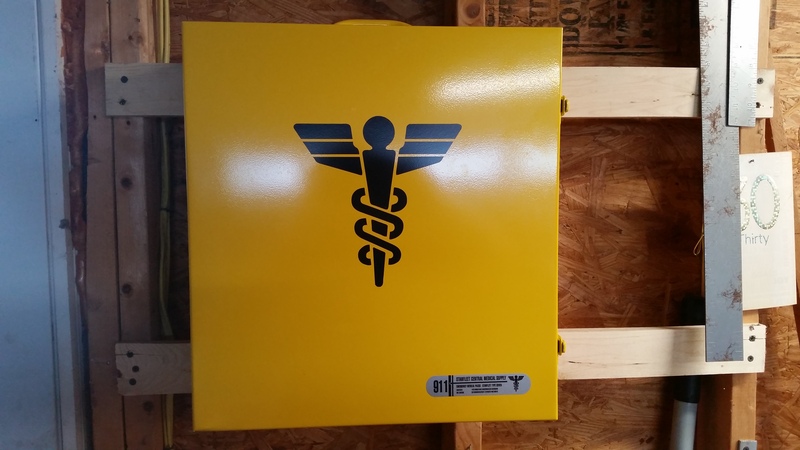 I think the caduceus clearly shows that it’s a medical cabinet, but in all honesty, many people would be better suited by putting a red cross and ‘First Aid’ on the front. I’m the only person in my shop, so I know what it is, and I think any shop visitor could easily figure it out. You know what? It’s cool and I like it, so there. Decoration is fun. I get my joy where I can. Don’t judge me. The cabinet included a convenient carry handle if the user didn’t choose to wall mount it. I have the cabinet prominently mounted near the man-door at the back of the garage. In retrospect, I think I should have considered placing it lower down, so my kids could access it, but they’re all young enough, I’d rather keep them out of it. Below, I’ve outlined everything I keep around in my trauma kit, currently. Take a look through, and then I’ll talk about it. I made a particular effort to keep things front and center as much as possible, so you don’t have to dig around to see what’s inside. I made extensive use of magnetic clips (available anywhere) to position items in exact places. The magnets are strong enough to hold things in place, but weak enough that in urgent need, you can easily yank things free. They let you take advantage of vertical space and the door surface, and keep things from sliding around. 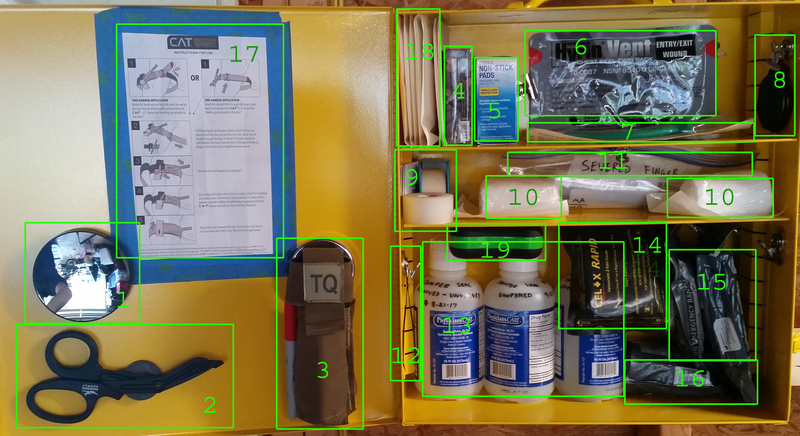 Contents of workshop trauma kit. Here are a few more close-up shots. As you can see, I made use of the door as well as the adjustable shelving in order to maximize space, while keeping things easily visualized. As I said above, the three goals with this kit were to control heavy bleeding, control a penetrating chest wound, and maintain an airway. For massive hemorrhage in an extremity, the first thing you can grab is the tourniquet from its pouch on the door. The CAT 7 tourniquet is used by military, law enforcement, and civilians, and it is an excellent choice, though there there are several options out there . When you sever a major artery, you’ve got a very short time to stop the bleeding, so the tourniquet is readily available. The bandage scissors are next to it, so you can cut up a pant leg if needed. As an aside, for those reluctant to use tourniquets because they believe tourniquet use will result in amputation: that’s old thinking. Current medical understanding suggests that a tourniquet should immediately be placed to stop major bleeding, and loss of a limb and other serious complications are unlikely as long as you seek medical care within 2 hrs, you’re really at minimal risk , and longer than that is a manageable risk. In the lower shelf are three Israeli pressure bandages and a pack of Celox Rapid hemostatic gauze. The Celox can often stop major arterial bleeds when used to pack a wound, then a pressure bandage can be applied. Pressure bandages can also be used to improvise as additional tourniquets. On the middle shelf is a little extra gauze and tape, as well as my handy-dandy little severed finger baggie (because who wants to be looking for a zip lock bag when your finger has just gone shooting across the room without you?) The gallon sized bag contains a quart sized bag and a roll of gauze. The idea is to wrap the finger in dry gauze, pop it into the smaller inner baggie and seal it, then put that baggie into the larger outer one, and add an ice pack for hospital transport. All of that after handling the bleeding, of course. On to penetrating chest wounds – say, a grinder wheel that blew up and stabbed someone in the chest, creating a sucking chest wound. For that, there is a Hyfin Vent chest seal pack on the top shelf. It’s basically two big sheets of sticky plastic that you apply to the front (and back) of a penetrating chest wound. It’s intended to help prevent a tension pneumothorax long enough to get an ambulance to the shop, or get the patient to the hospital. There isn’t a lot I expect to be able to do about bleeding in the trunk, so the priority is to maintain the ability to breathe and quickly transport the person to better help. Airway access is something that is important to consider in an unconscious or semi-conscious person. My wife could probably intubate you, but I am settling for the nasopharyngeal airway stored on the top shelf. You lube up the rubbery tube and shove it into the person’s nose. That hopefully establishes a bit of an airway during transport to the hospital or while awaiting an ambulance. Foreign bodies or chemicals in the eye will ruin your day. I have three bottles of eye wash (1.5 qts total) staged for quick access (the tamper seal is already removed, but the bottle was not opened). If a battery explodes in your face, or you get some particulates blown into your eyes, the idea is to rapidly access the eye wash, start hosing your eyes down, and quickly make your way into the house or to the outside hose to continue washing the eyes for 15-20 minutes while someone goes for help. There’s a makeup mirror on the door so you can try and see what’s in your eye, or fix your runny mascara (my garage is so beautiful, it makes women weep to see it). Boo-boos happen, and while the point of this trauma kit is to deal with major stuff, I included a few items to keep from having to go inside to deal with minor cuts and splinters. There’s a box of band aids, some gauze squares, a flashlight (a crappy one I plan to upgrade), tweezers, and a magnifying glass. There’s no tylenol or other medicines, as the workshop is unheated (which wouldn’t be good for medication) and besides, the house is right there. The primary intent of this station is to quickly deal with “OMG, that’s way too much blood” kind of problems. So that’s it for my workshop trauma kit. I didn’t go into much detail on what the individual components look like or how they’re used. I suggest if you’re interested in that, you go check out SkinnyMedic’s channel over at youtube. He opens up and shows all the major stuff I mentioned, talks about how to use these items, and he’ll even sell you most of this stuff and offer you a training course. I don’t have any relationship with him except as a customer and viewer, but he seems like a good guy. 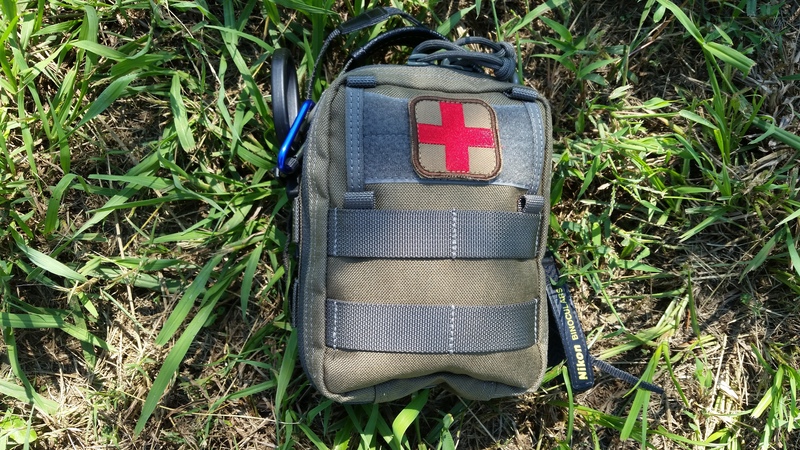 As an aside, you can also set up a lot of the critical items from this trauma kit in a bag for use as a car or backpack trauma kit. I may post more on that later. As usual, please take the time to comment! I enjoy reading what y’all have to say. Lee, C, and K M Porter. “Tourniquet Use in the Civilian Prehospital Setting.” Emergency Medicine Journal : EMJ 24.8 (2007): 584–587. PMC. Web. 26 Sept. 2017. Were did you get the star trek stickers? They are awesome, I want some for myself!